NEW ORLEANS - You can now hang the Smurfs over your sofa. You can decorate your bedroom around the Flintstones or the Jetsons. That's because animator Ron Campbell and his traveling art show are in New Orleans. His collection is at the Boyd Satellite Gallery at 440 Julia Street, New Orleans, Louisiana 70130. WGNO News with a Twist features guy Wild Bill Wood is in the middle of this circus of cartoon characters with the man who's made a life of creating them. Ron Campbell was born in Australia. He moved to the United States in 1966. That's when he continued creating the classics that light up your TV and movie screen. 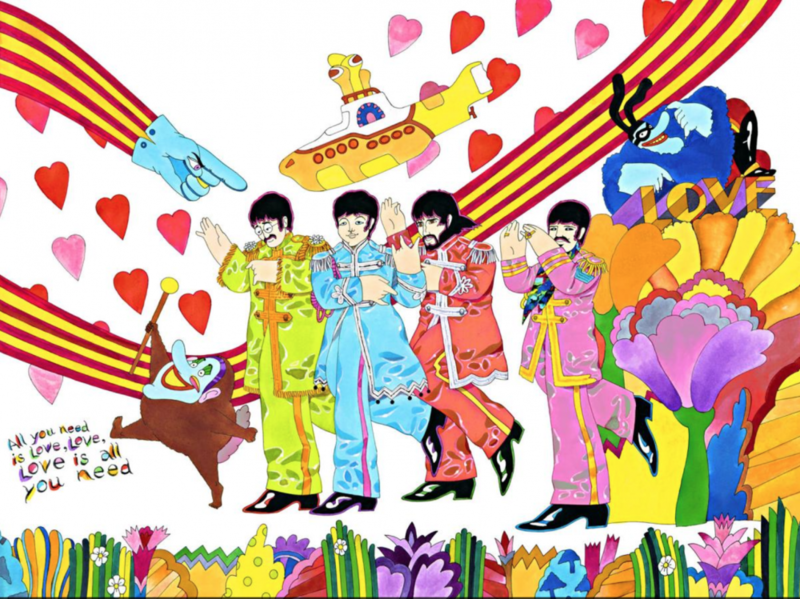 Ron Campbell was one of the animators for The Beatles TV cartoons and the Beatles Yellow Submarine. Ron Campbell retired from his Hollywood career to travel the country with his collection. You can now buy one of his paintings inspired by his cartoonish career. Ron Campbell has been drawing his entire life. He says he started drawing as a kid as far back as he can remember from his days growing up in Australia. In the early 1980's, he was an animator for Hanna-Barbera. That's when he bumped into the Smurfs. He's not just an animator. Ron Campbell has also been a producer and director as well. And he's still got it. He even draws on the official certificates that come with the paintings he sells.